We may be called Outerspace but you’ll find we have our feet firmly on the ground. Meet Terrey. Hers is the first face you’ll see on your Outerspace journey. 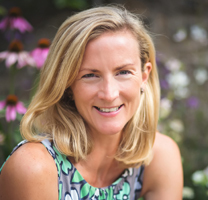 She takes a lead in the design process and is expert in sourcing, scheduling and laying out of plants. Which all makes sense, given that she’s followed an award winning career as a commercial interior designer with RHS Horticultural training. She’s also got the contacts and insider knowledge to find all the unusual and brilliant additions – lighting, furniture, water features – that make a garden special. Terrey’s a listener. She’ll guide you through the whole process. Alongside Terrey is Conrad. 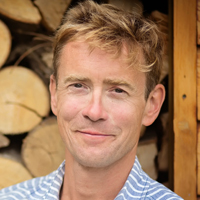 He’s very much at home in wild outdoor places – after an adventurous career with the BBC Natural History Unit, he retrained in Landscape and Garden Design. A year later, he and Terrey launched Outerspace, and Conrad now has nearly ten years’ experience in masterminding their projects. He has a meticulous approach to planning and logistics, a keen ‘aesthetic eye’ and uncompromising attention to detail, meaning that every aspect of Outerspace workmanship reflects the quality of our designs. 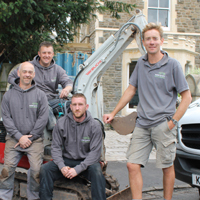 The Outerspace build team have over 40 years combined experience; they’re a hard working bunch of committed souls who maintain project momentum to exacting standards at all times, whatever the weather! Some of our team have been with us from the start, but as we grow new recruits quickly realise that we do things a bit differently at Outerspace. Our standards are high which says as much about our attitude as our skills and experience. Design is at the heart of all our projects and that design integrity combined with our exemplary build quality is what sets us apart.